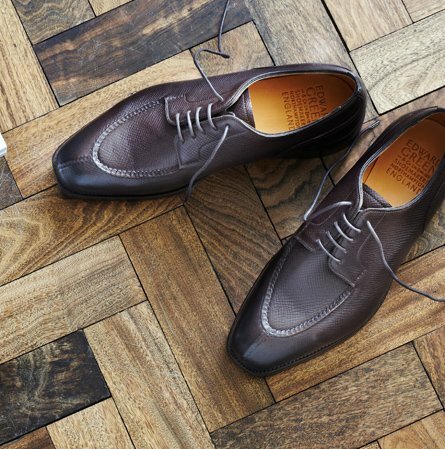 We take customer satisfaction very seriously at Edward Green and want you to have a shoe that is in every sense the perfect fit. If for whatever reason you're not happy we have a 14 day return period on all non-made to order good. And provided the original order value was for over $250 we will collect from you free of charge. Contact us at customercare@edwardgreen.com or arrange a return through the my orders section of the website. We’ll supply you with a “Returns Merchandise Authorisation (RMA) number” to use in conjunction with our shipping partner DHL. You must then arrange for the goods to be collected by DHL for return within 14 days of receiving your RMA number. We will process your return within 48 hours of receipt. You will receive a confirmation email and, provided the conditions of return are met, we’ll refund to the card used for the original order. We can not refund shipping charges on your original order, or any local sales taxes.